Graylog is a industry leading log monitoring solution used by ApiOmat to manage logging from Yambas and all other services in a centralized application. 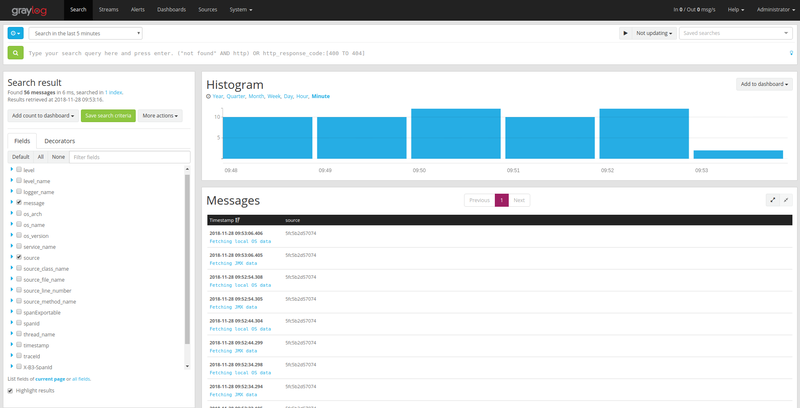 Graylog allows real-time log analysis and customize log monitoring. Form more information abount graylog, visit https://www.graylog.org. The following configurations are recommended. Graylog prior to 2.3 does not work with Elasticsearch 5.x! Graylog 2.4 does not work with Elasticsearch 6.x yet! Graylog is not included in our installation package and must be installed separately. Follow the instructions from Graylog directly. Configuration are described in the Graylog installation wiki for each system. The following variables are mentioned in the docker compose file above; for further configuration using docker you can refer to Graylog docker configuration. You can read more about Graylogs security at the official documentation.